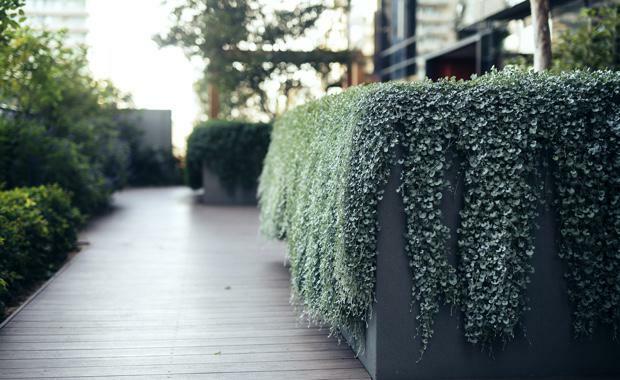 Hong Kong listed developer Far East Consortium has unveiled a stunning vertical green rooftop at its 2,500-apartment Upper West Side development in Melbourne. Located in the heart of Melbourne’s CBD, between Spencer, Bourke and Lonsdale Streets, Upper West Side’s communal rooftop represents almost one acre of landscaped podium rooftop gardens, lounge areas, barbecue spaces, resort-style pool and a horizontal rock-climbing wall area. “Urban forestation is very topical at the moment and we were keen to embrace this as much as possible with Upper West Side. In addition to notably lowering peak temperatures caused by hard-surface heat radiation, the rooftop design will retain storm water flow for continued plant growth,” says Shane Williams. Another key point of difference to Upper West Side is ‘The Bouldering Cave’ - an area devoted solely to a set of rock climbing walls. Strategically positioned, the walls have an organic appearance and are crafted with a cementitious material, while the floors manufactured with a recycled rubber material, to allow residents to feel they are climbing on actual cliff faces.